Though Nintendo has now finally broken the barrier of smart device gaming and joined the market, most agreed that it was about time. For years, the company had been facing pressure from fans and investors to put its games on smart devices, and it staunchly refused until recent times. Several explanations were given, which all ultimately boiled down to Nintendo's being protective over its IP, but now Miyamoto has given a firm reason for why the company waited so long. There are more opportunities for consumers to come into contact with a mobile phone than our own gaming devices. What do you think? Should Nintendo have waited this long? Is the company better off now that it's joined the mobile market? Share your thoughts in the comments below. Wait, Nintendo's making mobile games? I'm an Android user, and the only Nintendo "game" I have is Miitomo. Wait, you said you have Miitomo on Android ? I can't find the Apps on PlayStore. Oh, I live in Indonesia anyway. Any chance to get Miitomo in legal way ? 2 Syllables. Ka & Ching. I thought the reason is smartphone Nintendo games being a threshold. 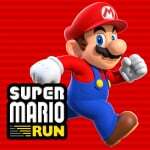 @MegaMari0 I was mostly using sarcasm to express my frustration over the fact that Android users don't know when they're getting Super Mario Run, and probably won't until after it's been available on Apple for 2 weeks, minimum. Furthermore, Nintendo probably won't give further details on the Animal Crossing and Fire Emblem mobile games until after SMR is available on both platforms. @Anti-Matter It's not illegal to download the apk when it's a free app anyway. You will register with your NNID and recieve coins for MyNintendo so you're not doing anything wrong. The Switch was just shown on the Jimmy Fallon show! Videos are up on YouTube if people are interested (and why wouldn't they be?)! @allav866 The last 2 weeks of February is my bet. Perfect timing for the Switch launch and promoting the new 3d Mario. Androids a far bigger audience than iOS so the timing could be perfect. @OorWullie it is illegal to download apks even if they are free. Copyright has nothing to do with money, it is about control of distribution. Oh, thanks. I will check it later. @OorWullie I should hope it's sooner than that. But you do have a good point in that it would be the best time to release the game. "We didn't need additional revenue streams till now"
@MegaMari0 No fragmentation? So tell me why my iOS device can't play Super Mario Run. @Anti-Matter create a new Google account and use VPN when logged in to that account. You can gain access to US Play Store that way. If Nintendo can generate more revenue and exposure from mobile gaming, which is pretty much guaranteed, then of course the company is better off this way. I love Nintendo and want them to prosper as best as they can. Ultimately their mobile games will point to 3DS and Switch where you can get a better experience with games/characters and hopefully create more sales. Oh, thank you. I will try later. "There are more opportunities for consumers to come into contact with a mobile phone than our own gaming devices." Translation - nobody bought our gaming devicev Wii U which crashed and burned so we had to do something desperate. Even though we said many times we never would, but that's back when we were selling 100 million Wii and 150 million DS. @BinaryFragger Well if I'm going to be ninja'd due to my slow 1 finger tablet typing I'm glad it was by somebody who built in links to their comments. Don't recall ever seeing that before on here, very nice. @BinaryFragger Sometimes, failure is necessary to learn how to succeed. ...If Nintendo doesn't change ya'll complain. If they start exploring new options ya'll complain. Nintendo has always tried to go where the money is. They don't hop from thing to thing thank goodness but they are always searching for that rainbow. I'll pass..I will never do phone gaming..Ever! I guess that is a reasonable reason, but I feel like Nintendo still could have some pretty great stuff even with worse hardware to work with. 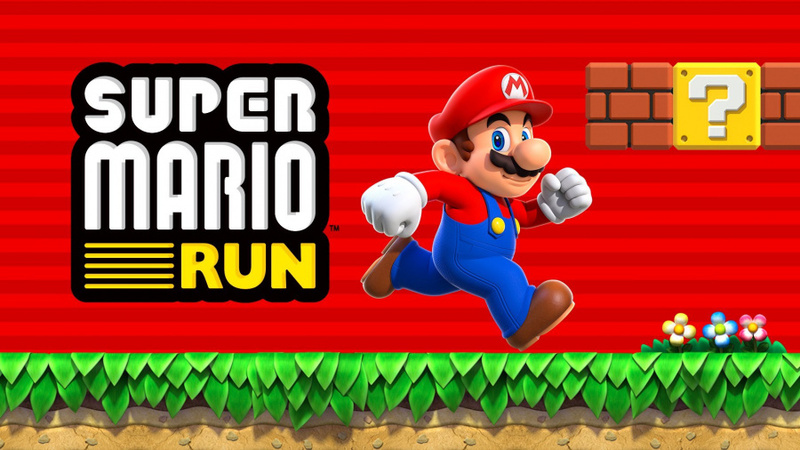 Super Mario Run is one of the few mobile games I am actually considering purchasing. Doesn't mean I will actually buy it, but it does look fun. I love my Wii U and 3DS, but swallow your pride. They're fun and more convenient to play than grabbing a DS to take with you. As long as they continue making games for their consoles and handhelds, I'm fine with them making mobile games. Nothing wrong with expanding, as long as it doesn't mean their overall quality goes downhill. They need to expose more people to Nintendo's IP. They need the market to grow, since the current market is already distributed among Sony and Microsoft, with Nintendo's in a distant third. It does go hand in hand with the "software sells hardware" line of though. @ULTRA-64 Agreed. Add to that the fact that Miyamoto speaking about a gaming device been not powerful enough makes regret buying a 3DS in the first place (or a Wii U for that matter). Aside from the fact that you said "Nah" twice, who the hell ever said phone gaming is real gaming? Phone gaming is a funny joke compared to the Wii U, 3DS, Switch. There is literally no comparison between them. At all. In terms of spare time for gaming, Nintendo wins every single time. In terms of sheer flexibility and versatility, Apple wins every single time. PS: In response to your last comment, gaming on your 3DS instead on an iPhone isn't smarter. In any way, shape, or form. Technically, phone gaming is smarter because then, you can still notice IM alerts, phone calls, maybe FaceTimes, other ways of people trying to communicate with you. Perhaps they are stuck in a burning house or something. So in a way, gaming on your phone instead of your 3DS is also more responsible, too. Don't get me wrong though, I'm not on the phone's side. I'm just saying that whenever you are out and about, it is better to use your phone for everything. Better yet, don't use your phone. Be more attentive to other people and the world. But regardless, 3DS gaming is the all around hands down superior gaming experience compared to your phone when you are outside the house. When you are inside, then Wii U just easily trumps all. To each rightfully his own.